Lustmord can comfortably sit with the legendary status he has attained within Dark Ambient circles; with a catalogue that stretches back as far as the early 80’s. Recently he has had a number of albums re-issued by German label Ant-Zen, so it is a surprise to see his latest output on the well-respected Touch label. Built upon ten years worth of cosmological sounds compiled in an audio library; there is no doubt as to the concept surrounding this latest piece of work, spread over three long tracks and housed in a nice oversized ekopack wallet. The songs themselves are suitably bleak. Rich, throbbing low-end bass pads out cavernous dense air as ghostly apparitions of high-end musicality reach out into the vast unknown corners of space. Lustmord tries his hand at grasping an unseen and unkown quantity, that of dark matter and its influence on the universe. Overall, this is a quality piece of work end to end. Densely layered and mysterious with many a nook and cranny to become enveloped within and providing everything a Dark Ambient release should. There is really nothing to compare Lustmord to as he has created his own mythos and received well-deserved acclaim; this latest opus just adds to that. The Touch label for the most part, has released its fair share of albums that could easily be categorised under the Dark Ambient banner; I just don’t think they really are aware of the wider genre. In that respect, some of the best DA releases I have heard have come from the label, with minimal efforts to reach out to that scene. You can stick ‘Faith’ in that pot as well. Norwegian duo Biosphere and Deathprod have been releasing solo works for some time now; approaching the electronic music scene from a slight difference in angle of attack. Whereas the former is noted for his ambient and Techno leanings, the latter concentrates on homemade electronics. As a joint effort to create this album, I expected collaboration on all tracks; but in this case we have three from Geir Jenssen’s Biosphere and four from Helge Sten’s Deathprod. Thematically drawing a concept from an electrical engineering perspective of rotary machines and generators, or the fixed blades of an axial flow compressor, may not be the most conventional of subject matters; but musically speaking, everything relates cohesively. Subtle harmonics are the key to what makes this album work so well. Background key changes by Biosphere, offset well against mechanical grinds and subtle distortions, providing an engaging rising ambient picture, of great depth and resonance. In contrast, Deathprod’s analogue interpretations add a variation to the proceedings that create balance. Less mechanical than his cohort, he provides a summery tone to the overall feel of the release that offers light to Biosphere’s autumnal slants; with the occasional winter frost and spring bounce, to nail down a whole season of sounds. 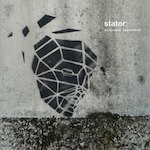 Overall, ‘Stator’ is an engaging album that requires a fair amount of patience to appreciate the attention to detail on offer. For those that take the plunge, the results are ever more rewarding with a stark lesson in Dark Ambient/off-key electronic bliss. For his latest release Poland’s Michal Jacaszek has come together with quartet Kwartludium and the 441Hz choir, to produce an album based on the forms of trees. 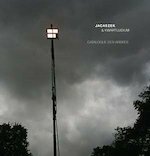 He has utilised ‘”open air” (translated as field recordings) sounds as the foundation to the production and allowed the musicians free ranges on the additional instrumentation. ‘Sigh’ starts, as one would expect. Rain drizzles down through the woodland as droning clarinets and voices rise from the soil. The effect is a gracious breathing affair and an altogether excellent opening gambit for what is to come. Sporadic piano is treated electronically on ‘Green Hour’ and is an altogether more lucid and weird output from the calming opener; although for me is interrupted all too frequently with the field recordings to bed into the consciousness of the listener. The next few tracks continue in much the same manner until the Dark Ambient leanings of ‘From a Seashell’, which is one of the albums highlights; displays a greater range and depth that was promised from track one. ‘Catalogue Des Arbres’ is an obscure composition, from start to finish; and long the way there is a rich tapestry of sounds that carry a lot of weight once the songs bed themselves in. A lot of though has gone into the album, this much is obvious; however, the downsides appear in the skittish nature of design, which I am sure comes from the subject matter (I suppose this is the point). Altogether though, this is a decent release if not significantly ground breaking or ultimately engaging for its entirety. Ankersmit is an installation artist from Berlin, basing the majority of his work around the Serge analogue modular synthesiser. I have to admit my heart dropped somewhat upon the realisation that this album is one long track just shy of 37 minutes; that as well as the installation work, as this never translates that well onto CD. Through a field of wave shaping, feedback and distortion fed through oscillators the result is as one would expect. A mish-mash of noises that would work well I imagine with gallery imagery to accompany it; but with very little to enjoy sat at home with it pouring out of the speakers. The overall result is an irritating mess and ultimately pointless. I know Touch are one of those labels that dare to experiment and the quality of their output is usually of a high standard; however they need to re-address their approach with this one. Alarm bells were firmly ringing the moment I read the press bumpf that came with this release. Split into three parts, this album appears to be a collage of field recordings that Nilsen has collected on a journey through London; as I abhor the majority of output on the market comprising solely of this medium, I sat back with gritted teeth whilst pressing ‘play’. ‘Londinium’ opens up the proceedings with a warm Dark Ambient driven hum. Over the course of just under 11 minutes, Nilsen allows the recordings to filter through as an undercurrent that never oversteps its mark. Clever manipulation and layering raises BJ’s stock in this field as someone who knows what he has set out to accomplish and actually produced something worthy of note. The droning ‘Coins and Bones’ is adequate as the second track on this disc, but does fall slightly short in the interest stakes compared to it’s predecessor; leaving the obscure ‘Twenty Four Seven’ as the epilogue of Nilsen’s journey. These latter tracks do have a place, with middle number seeming slightly out of tack with the rest of the album. 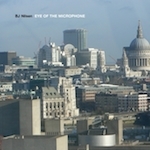 ‘Eye of the Microphone’, does one thing alone that many Field Recordings ‘artists’ fail to realise; and that is that people do actually want to listen to songs the majority of time. In an era where money is tight, people don’t deserve to pick up an album where some self-indulgent fool thinks just recording stuff with a microphone shows any form of talent. Luckily, Mr Nilsen is not one of these individuals and has produced a solid and expressive Dark Ambient album (knowingly or not). Phill Niblock has been treading the boards for a few years now with albums that focus on sonic artistry and experimentalism. With five tracks spread over the course of two CD’s, you know you are in for the long haul in some respects and given previous output I would have expected nothing less. ‘FeedCorn Ear’ comprises mainly of cello parts drifting through various ranges that Niblock, (whilst not playing the initial parts himself) has recorded and layered into selected drones. Setting aside the fact it wasn’t actually him stroking the strings with the bow himself, in some respects he has effectively created a desperate ambience, which whilst teetering on monotony, does hold some weight over the course of 30 plus minutes. ‘A Cage of Stars’ at just over 28 minutes in length begins where its predecessor left off. It takes a lot of effort to complete one score and immediately take on another monolith of strings that differ slightly in tonal pitch from it’s counterpart, requiring as much stamina as it probably took to produce. 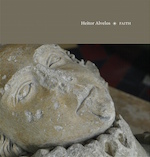 Disc two is three versions of the same track, performed by three different quartets. In some respects this is almost similar to way an electronic artist would approach a remix and has to be applauded, considering this is mainly analogue. Each version of ‘Two Lips’ clock in at a little over 22 minutes, unfortunately showing little to differ one from the next, bar minor different pitches in key; if anything, because of the approach, much of disc two mirrors disc one. ‘Touch Five’ in its two halves, also divides my opinion. I respect the amount of effort and do enjoy key areas from disc one, but find the output of disc two a tedious addition to what would have been a stronger effort without it; ultimately resulting in a resounding feeling of overkill.